First, the keynote with Carl and the gang was awesome! VMware took a really aggressive attitude towards the competition, including Citrix (virtual desktop) and Microsoft (virtual data center). To sum up the conversation: VMware’s intent on carrying on the Q4/09 momentum through 2011, extending its lead in virtual data center and cloud computing capabilities. But Carl’s not happy with just the traditional server market, and VMware wants to own the virtual desktop space – virtually putting the squeeze on Citrix as the walls close-in around them. With over 60-70% of net new Citrix VDI builds being deployed on VMware’s ESX servers, it make me wonder why Citrix would drive its XenApp customers to VDI – in the form of XenDesktop4 – by offering a 2-for-1 trade-in program. Isn’t this like asking their own clients to reconsider the value proposition of XenApp – in essence turning vendor-locked accounts into a new battleground with VMware? If the momentum shifts towards VMware View4.x and VMware accelerates the pace on product features (including management and integration) as suggested by Carl’s aggressive tone today, where does that leave XenDesktop and Citrix? The VMware Express: Coming to a City Near You! VMware introduced its “data center on wheels” to the PartnerExchange 2010 audience today and I got a chance to get on-board and take a look. The build-out was clean and functional with 60+ Gbps of external interconnects waiting for a venue. Inside the Express was a data center, a conference room and several demonstration stations showing VMware vSphere and View4 demos. 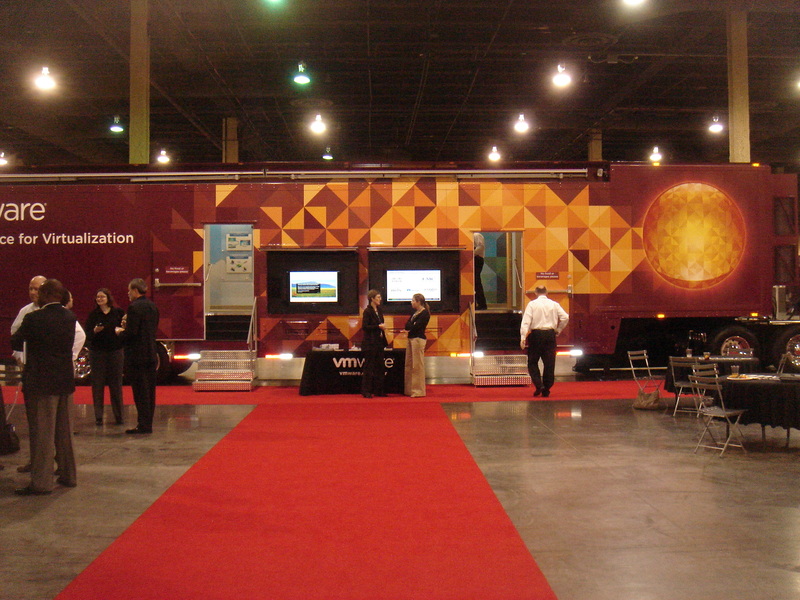 VMware rolled-out the red carpet to the PartnerExchange 2010 attendees. To the right – above the 5-th wheel – is the conference room. All the way in the back (to the left) is the data center portion. In-between the data center and the conference room lies the demonstration area with external plasma screens in kick-panels displaying slide deck and demonstration materials. 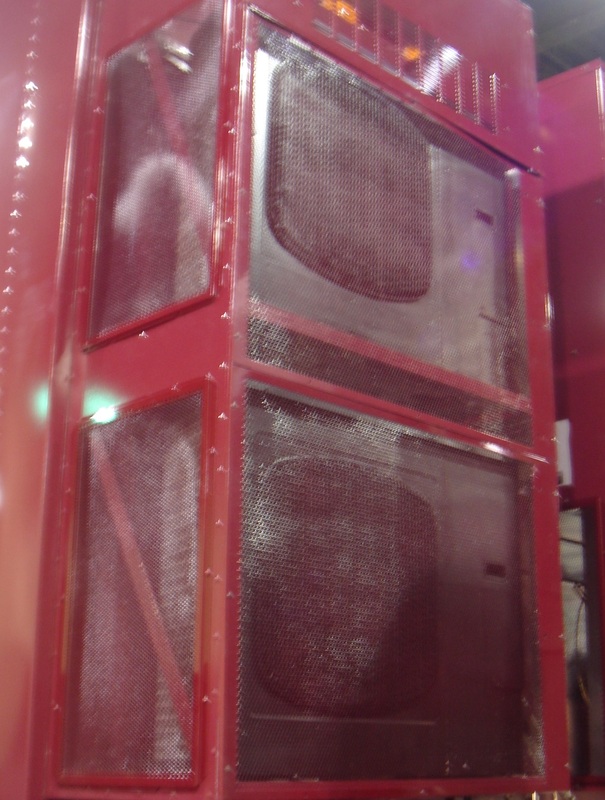 Up front – behind the cab – rests 6-tons of air conditioning mounted to the front of the trailer. This keeps the living area inside habitable and the data center (about 70-80 sq. ft.) cool enough to run some serious virtualization equipment. 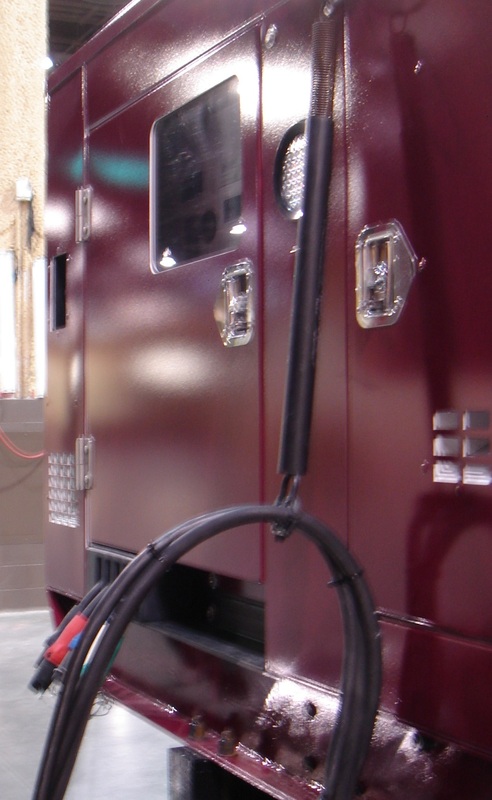 Mounted directly behind the driver’s cabin is the diesel generator – capable of powering the entire operation for better than 40-hours when external power is unavailable. Today, however, the VMware Express was taking advantage of “house power” provided by Mandalay Bay’s conference center. Where the rubber met the road was inside the data center: currently occupied by an EMC/Cisco rack and a rack powered by MDS/NetApp/Xsigo. Both featured 12TB of raw storage and high-density Nehalem-EP solutions. In the right corner, the heavyweight EMC/Cisco bundle was powered by Cisco’s UCS B-series platform featuring eight Nehalem 2P blades per 6U chassis fed by a pair of Cisco 4900-series converged switches. In the left corner, the super middleweight MDS Micro QUADv-series”mini-blade” chassis featuring an eight Nehalem 2P blades per two 2U chassis fed by a pair of Xsigo I/O directors delivering converged network and SAN tunneled over infiniband interconnects. It will be interesting to see how the drive arrays survive the journey as the VMware Express travels across the country over the next year. Meanwhile, this tractor trailer is packing 60-blades worth of serious virtualization hardware destined for a town near you. VMware is currently looking for additional sponsors from the partner community to expand its tour; and access to the VMware Express will be prioritized based on partner status and/or sponsorship. With the VCP410 test in the books, I’m now waiting for official notification from VMware of my VCP4 status. According to my “Examination Score Report” I should receive notice from VMware within 30-days having met all of the requirements for “VMware Certified Professional on vSphere 4 Certification” and testing above the Certified Instructor minimums. Schedule the exam in the morning – while you’re fresh – not the afternoon following meetings, etc. That about does it for day number three in Las Vegas, Nevada. It’s time to shuffle-up and deal! Updated: 1-December-2009 – added price reference for listed thin clients. Runs most workloads at least 95% bare metal. Do I still want this feature? Plus, we’re getting application awareness in the networking back-end that will allow tweaking and performance tuning like never before… and much needed security tools to help with compliance and multi-tenant lockdown… And what about hot-add of vCPU, memory, devices, etc.? Wait and see what happens next… Read the rest of this entry ? The battle lines are drawn in the war to determine who will control your desktop in the future – and it’s not about what operating system (OS) you’ll be running – it’s about who will pull the virtual strings behind the OS. Up to recently, Windows users had RDP and ICA as the main “enterprise” desktop remote access services along with a protocol soup of new alternatives. Today, there is a foray of alternate access technologies flying the banner of Virtual Desktop Infrastructure (VDI) and a confusing mess of protocols, features and limitations. Most recently, this even includes traditionally security focused Symantec and its “Endpoint Virtualization” product. While this serves to bolster our prediction of a Microsoft/Citrix merger – based on the sheer number of vectors competing for the platform – it also presents a familiar case of “who’s approach will win” for end users and adopters. Brian Madden’s blog recently touched on this competition and where the major players – in his opinion – stand to lose and gain. It’s worth the read as are the related posts from his blog on the topic.